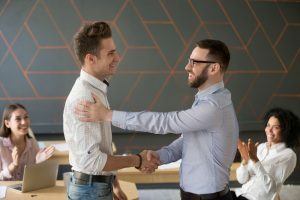 Employee appreciation – Something we all ‘know’ we should do and yet somehow it still drops off the radar. Maybe it’s on your to-do list this year; I hope so! Recently I was chatting to a friend of mine who works with the recruitment sector. A current hot topic in this market is employer branding, culture and the challenge of attracting talent; a huge challenge for organisations that want to grow their teams. All of these elements of company growth have a connection when it comes to the employee experience. Who hasn’t, as a hard-working employee, occasionally felt undervalued or not appreciated. In the past, I know I have. Disappointing when we all have the plethora of resources, strategies and understanding of the human psyche available to us. In this post, I want to share six ways you can appreciate your employees which our current clients use across the globe..
Their simplicity might shock you. Yes, not rocket science, but asking will help you identify what is important to the individuals concerned. Remember we are all inspired and motivated by different things. As an example: Because you like to be the subject of a companywide email about something you have achieved doesn’t mean everyone else does. In one organisation I was part of, the manager insisted on giving bottles of wine for a job well done, which was lovely. What a shame that thirty percent of our team didn’t drink for various reasons and our manager never even considered any kind of alternative! With the majority of our workforce falling into the Millennial bracket, demonstrating a commitment to development is vital. This can take many forms and shouldn’t be avoided because an individual, on paper, doesn’t have a designated career path to follow. 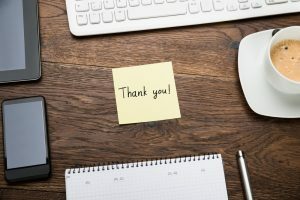 I know you might wonder why I am stating the obvious, yet so often as managers with a full inbox and a large to do list, common courtesies like this can and do get forgotten. A simple thank you as you walk out the door is what many of us crave and appreciate. Here at Excel, we’ve recently undergone a programme of change and development. One of the outputs was flexible working, as requested by our team. Let’s be honest – a committed individual with a laptop, internet access and a phone can work from home occasionally. We instigated flexible working last year and what a difference it’s made to the team in feeling trusted, valued, and most of all listened to. Food and eating together have been part of human culture for thousands of years. It is a classic way to ensure people feel welcomed and recognised. Celebrating a team or company win by lunch away from the office or just bringing in some cookies and fruit are very simple low cost – high reward acts that have a positive impact on everyone. I left this one to last even though it’s probably the most obvious. 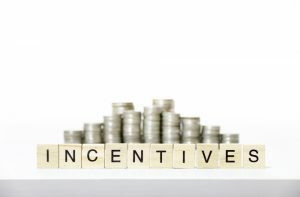 Depending on where our salary places us on Maslow’s Hierarchy Of Needs, additional bonuses or financial rewards are always appreciated. Though to make a point about focusing on the other areas I have mentioned, I am sure we are all aware of individuals who have left well-paid roles in pursuit of being valued by a manager or organisation. Employee appreciation in an ever-changing business landscape will never be out-of-place. In fact, in many organisations, it’s often a scarce commodity. Make your workplace the exception. Use every opportunity to demonstrate your gratitude and appreciation to employees and watch engagement shift in a positive direction.